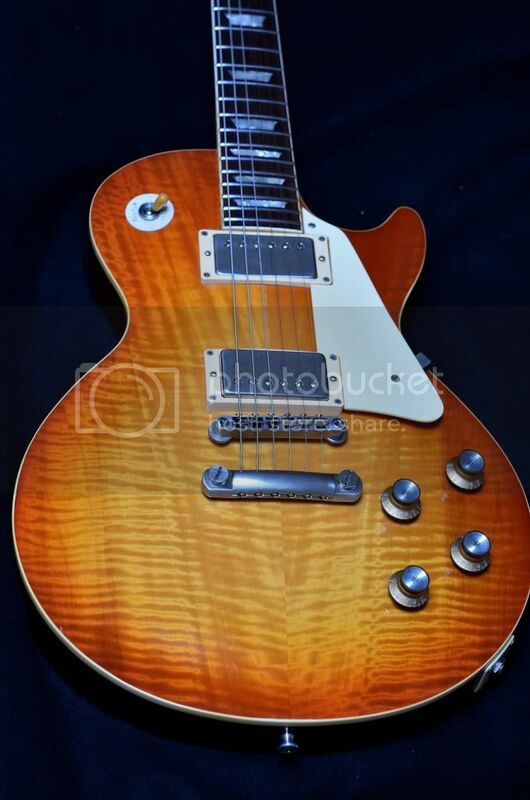 I am looking to buy a Burny Les Paul (teasumboosrt or similar) guitar as using Andy, preferably FLG-240 FLG-150 FLG-90 1980 to 1981. Or one RLG-150 RLG-120 from 1982 to 1989. Hello Ricardo and welcome to the forum! FYI the 1980/81 FLGs were only produced from mid 1980 to mid 1981 and the FLG-150 & 240 you are talking about are extremely rare. In the years I have been active I have seen only 2 240s and 2 150s. Also the RLG-120 & 150 were only produced from late 1981 to early 1985, also quite rare. Never seen one outside of Japan. If you really want one, I would monitor Yahoo Japan if I were you. But the problem is, you need to be an expert to identify one. (except for some 120s or 150s that have been cavity stamped or written with a marker). 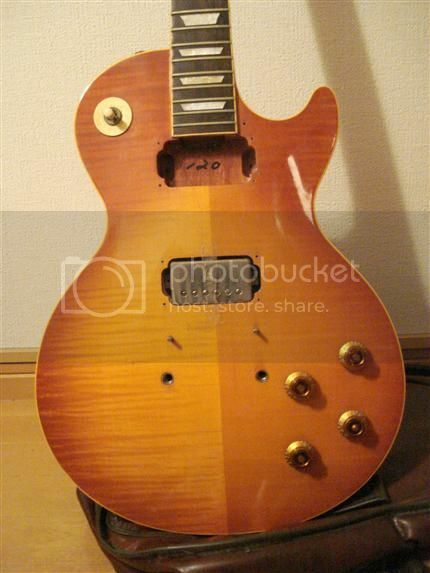 Just checked pics of Andy's Burny and it's almost certain a late 1981-early1985 Kasuga Burny RLG-120. Hi Jacco, thank you very much for the welcome. My congratulations for your Burny, looks great in the pics. The RLG-120 on the pic looks very similar to Andy's guitar! 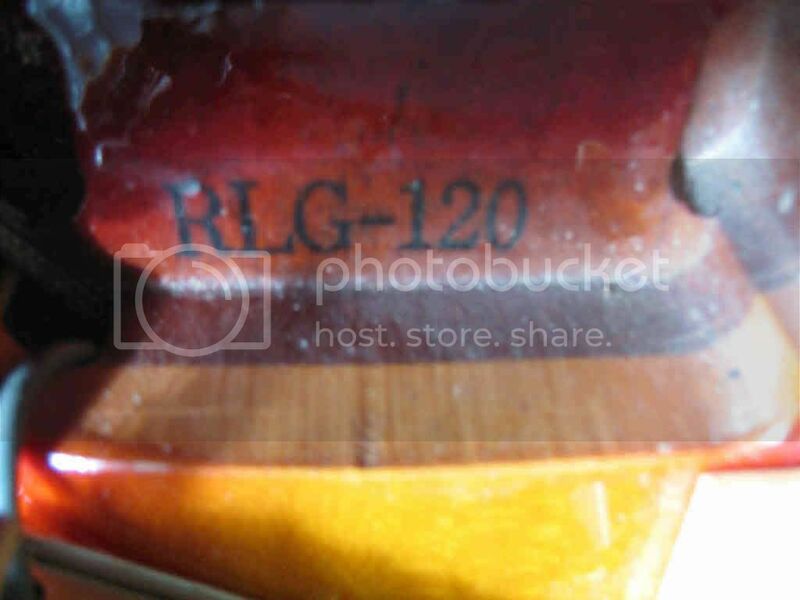 RLG 120 are solid body? Yes, solid 2 piece lightly flamed maple top and 1 piece maho back, nitro finish, fret edge binding and depending on the year L8001 pickups or VH-1 pickups. From late 1998 also Korean and later Chinese production of lower end models. Higher models were first still produced by Dyna and later by Tokai. So you are looking for a Kasuga made Burny if you want the same guitar. Thank you very much, you've helped me to learn more about the Burny guitars. The latter information is very interesting. I'll try to find a made in Kasuga. I you need help with IDing please let me know. Hi Jacco, what do you think of this guitar? Not a 120. A 1990 Dyna made RLG-90 or custom order because I have never seen a solid topped RLG-90 from that period. But it has a 2 piece back, so nothing really fancy. RLG-120s were stopped being produced from early 1985. I had never seen those details, thanks for your help. Hi Jacco, At the moment, I do not found a Burny in good condition. I found this Burny nineties, on ebay. would be a good buy? What do you think? What do you think this other guitar Jacco? That is not 80s but late 1991 or younger. Thus Dyna made.